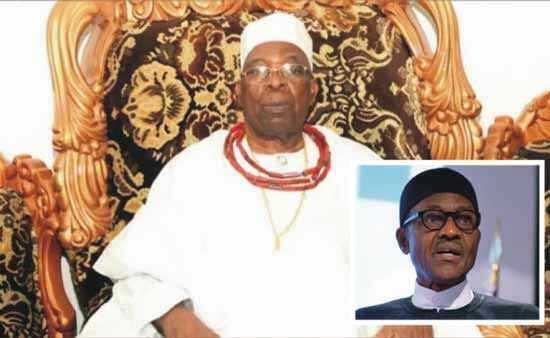 President Muhammadu Buhari warmly felicitates with His Royal Highness, Owa-Obokun of Ijesa-land, Oba Gabriel Adekunle Aromolaran 11, on his 80th birthday. President Buhari congratulates the majestic Ijesa Kingdom, renowned for its historic military and entrepreneurial prowess, family members and close associates of the royal father, who joins the club of octogenarians, with 35 years on his fathers’ throne. The President extols the maturity and wisdom of the royal father in administering his domain, consistently ensuring peace and development, and promoting a strong appetite for education and commerce among his people. President Buhari believes the octogenarian has, over the years, successfully sustained the heritage of patience, tolerance and good neighbourliness that was bequeathed by his ancestors, and taken his people to new heights of integration into the global trade community. The President prays that the almighty God will grant the Owa-Obokun of Ijesa-land good health and longer life to continue serving his people, and the country.